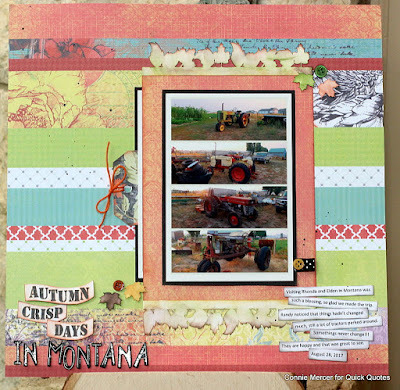 Hi, Connie here with a scrapbook page, using the left overs, from the October Club Q Kit. The kit has some beautiful pattern papers from the Sonata Collection. So pretty!!! 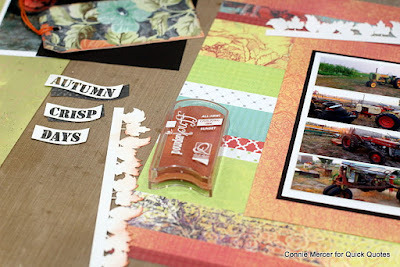 It is also has tones of chipboard die cuts that be colored using Quick Quotes PowderPuff Chalk inks. 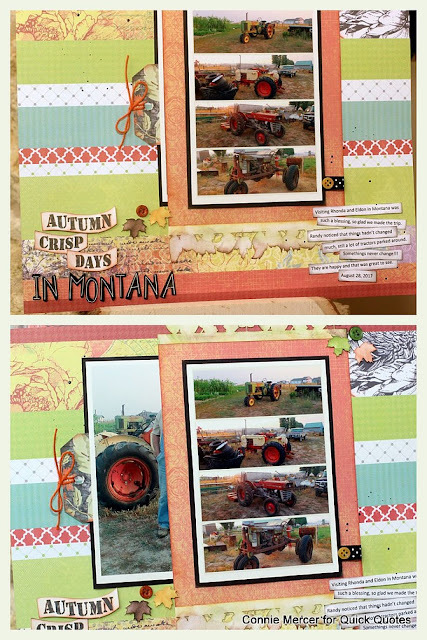 The first thing I needed to create was the collage for the focal photo. I has some really neat vintage tractor pictures, from when we went to our friends in Montana, so I used those. 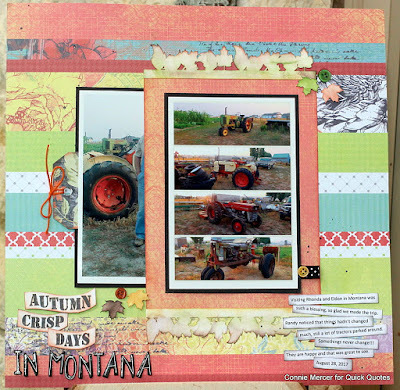 You should see these tractors in real life, so cool! The journal strips were also printed out on the Canon iP8720 printer along with the photo collage. Next was coloring the chipboard pieces, that I wanted to use for the scrapbook page with PowderPuff Chalk inks. After the coloring and shading, of the chipboard, was complete the focal photo was matted with black cardstock and then adhered to the Sonata pattern paper. One strip of adhesive was put on the top and one strip on the bottom, leaving room for a pull out photo to be hidden. 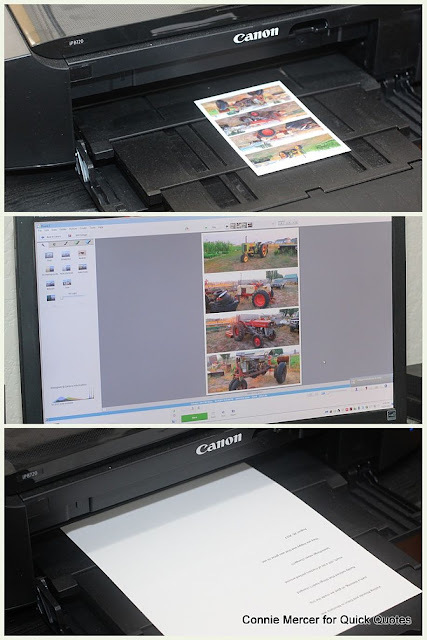 The top photo shows the photo hidden and the second photo shows that it can be pulled out. The tag is covered with pattern paper and adhered between the black mat and the photo. Makes it easy to pull the photo out and slide it back in place.